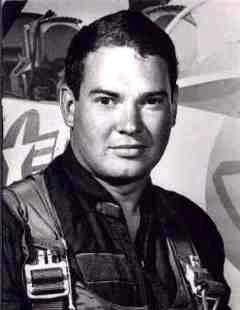 Lieutenant Daniel Vernor Borah, JR. "DAN"
and could carry a 15,000 pound bomb load. combat missions in Southeast Asia. The Corsair was also flown by Air Force and Marine air wings. and 23 miles east of the ill-defined South Vietnamese/Laotian border. by the Forward Air Controller (FAC). Quang Tri Province, South Vietnam. wingman began their initial bombing run as briefed. several attack runs that had been planned. over the target to observe Lt. Borah's succeeding bombing runs. to draw a barrage of 37mm anti-aircraft fire. then almost immediately saw the Corsair burst into flames. descend in a good parachute. no further contact could be established with him over the next two days. On 26 September SAR operations were terminated. 30 minutes of his landing on the ground. Daniel V. Borah, Jr. was listed Missing in Action. and his family notified accordingly. Problem is, he never came home. the photos and immediately recognized their son. which were used to aid in the identification process. The results of those tests were positive. 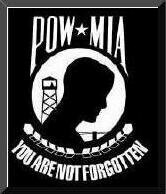 swindle money from POW/MIA families. Prisoners of War remaining in Southeast Asia today. or as they believed, two different men. obvious that the similarity is just that: a similarity." of the Vietnam Office Seeking Missing Persons (VNOSMP). would be provided by the end of the year. a Vietnamese witness was presented to US Officials. found dead in his parachute and buried nearby on 24 September 1972." buried in full flight suit had been located and recovered. and that JTF-FA believed those remains belonged to Dan Borah. the Vietnamese witness who led JTF-FA investigators to the burial site. be used for anthropological analysis. the 19 teeth, that all of them absolutely matched Lt. Borah's dental records. positive identification of those remains as Dan Borah's - first. closing his case publicly as well as officially. and testing rather than allow the government to "win by default." The results of their efforts are truly astounding. First, the teeth may not all be from the same person. is characteristic only of someone of American Indian ancestry. took care of the entire family retired years ago. United States Naval aviators traditionally fly in a one piece flight suit. Vietnam is not one piece, but rather a shirt and pants. Dan Borah weighed 200 pounds and was prone to easy weight gain. "the pants would barely fit me. They would never fit him." between this "flight suit" and its' owner. destroyed the bones making them useless for identification purposes. that Dan Borah was supposedly buried in. "you could put that flight suit on and wear it on the street. in the back of a closet." was captured alive and held prisoner by communist forces. Is he still surviving in spite of the USG's claims to the contrary? for have been received by our government. Prisoners of War remaining captive throughout Southeast Asia TODAY. prepared to be wounded, killed or captured. could be abandoned by the country they so proudly served. While the USG considers Dan Borah to be "remains returned,"
and help them fight for an honorable accounting for him.